Prosiect Gwyrdd use this Envros / Brum report to claim no health risks from the Viridor incinerator. 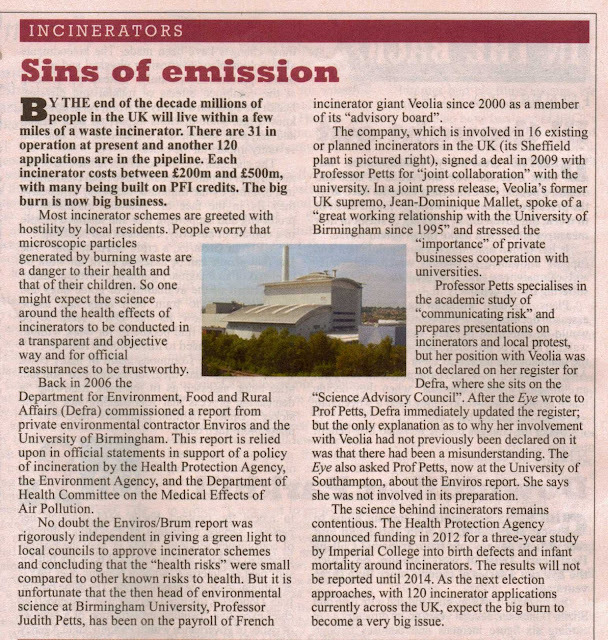 In their press release under 'Regulation and health impacts' Ian Lloyd Davies writes for the project giving a link that doesn't work and another that is link to the report which is now discredited referred to in the Private Eye article above! Food and Rural Affairs (Defra 2004)." A summary of this extensive research here"